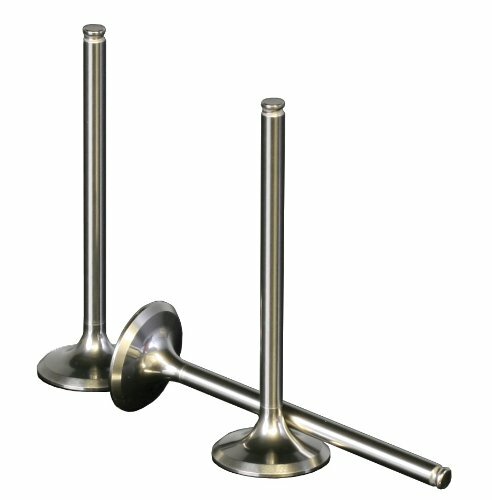 ProX titanium valves are forged in one piece for extra strength and greater durability than OEM titanium valves. Uses a special Ti3Al alloy for better performance under high temperatures. CrN coating for extra hardness and less friction between valves and guides. Fits: Suzuki RM-Z 250 2007-2009, RM-Z 250 2010-2013. Specs: Location: Exhaust; Material: Titanium; Number of Valves Included: 1; Head Dia: 25.00mm; Length: 80.60mm; Stem Dia: 4.50mm.